COMING SOON! 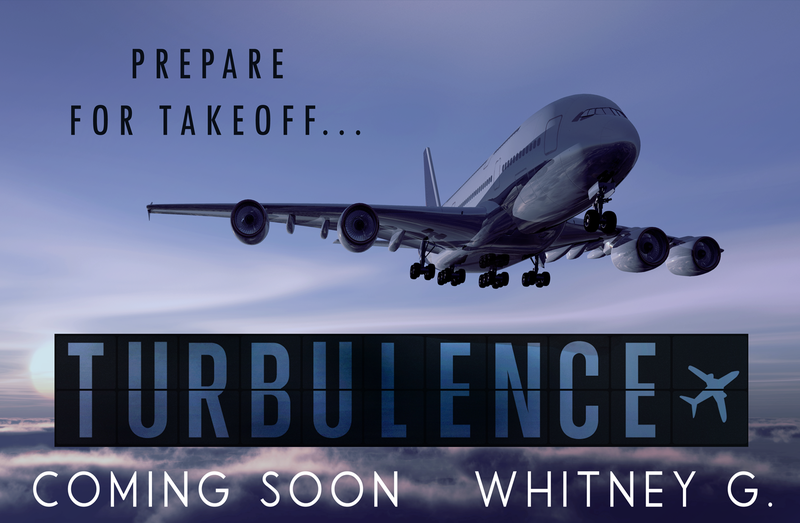 Turbulence by Whitney G.
An exciting new offering from one of my favorite authors, fasten your seatbelts there is Turbulence ahead! Check out the Reasonable Doubt Series by Whitney G.
Previous PostMid-Life Love Boxed Set by Whitney G. NOW AVAILABLE!Next PostSnake Eyes by Melissa Pearl NOW AVAILABLE! When do Turbulence by whitney G.williams come out can’t wait to read.